With the lights out, it’s less dangerous. Here we are now, entertain us! The unforgettable line from Nirvana’s hit “Smells Like Teen Spirit,” in September of 1991 the track’s music video was released to the public as the first dissonant chords to ring from Kurt Cobain’s electric guitar would single-handedly create a new musical movement, turn the Billboard charts upside down, and propel a little-known band from Aberdeen, Washington to major stardom. In fact, by January of 1992, their now legendary album, Nevermind, would replace Michael Jackson’s Dangerous at No. 1 on the U.S. Billboard 200 Chart. Released on September 24, 1991, Nevermind was actually Nirvana’s second full-length studio album, their first being 1989’s Bleach. When their former label, Sub Pop Records, fell into financial troubles and rumors began to swirl that they might sign-up as a subsidiary for a major label, the band – Cobain, Krist Novoselic, and Dave Grohl – decided to forego the middle man and court major labels for themselves. Geffen Records’ imprint DGC Records would come out the winner in the bid for the band, and Nevermind would be the trio’s first release for their new, major label. Despite low commercial expectations – Geffen hoped to sell around 250,000 copies – Nevermind became a surprise success in late 1991, largely due to the popularity of its first single. “Smells Like Teen Spirit” was a song with lyrics that seemed barely discernible, it lacked sensibility, and the musicality was erratic. As a lead-off single for a brand new band, it made no sense. Directed by then largely unknown Sam Bayer, the video featured the band performing in a dark, grungy high school gymnasium amidst apathetic flannel-clad fans; a Punk Rock pep rally from Hell. Neither bright, nor eye-catching – and paired with rambling lyrics that contained bizarre references to an albino, mosquito, and mulatto – the song choice and visuals seemed a poor move on the band and label’s part. Of course, if you lived through the early ’90s, there is no doubt in my mind that you will never forget the words to this Alternative Rock anthem. “Smells Like Teen Spirit” would shock everyone when it hit No. 6 on the Billboard Hot 100 and No. 1 on the Billboard Modern Rock Chart. Overseas, the single would chart for an astounding 184 weeks in the United Kingdom alone. The video – which cost an estimated $30,000 to $50,000 to make -would go on to win two MTV Video Music Awards. “Smells Like Teen Spirit,” the single, would be included on the Rock & Roll Hall of Fame’s list of “The Songs That Shaped Rock & Roll” in 1997, as well as placing on the Recording Industry Association of America’s 2001 “Songs of the Century” list. In truth, “Smells Like Teen Spirit” has been included in more “100 Greatest Singles/Songs of All Time” listings than we have room to print. If there is a listing of “greatest” songs, singles, or videos, it is a safe bet that Nirvana have placed somewhere on that list. In fact, the song has gone on to appear in video games, feature films, and documentaries, and was even covered by the Muppets in their 2011 comeback film. It has been sampled and parodied, and performed endlessly. To date, it has been covered by artists across the globe, across genres and languages, including Kelis, Tori Amos, the Melvins, Flyleaf, Paul Anka, and Patti Smith. Happy with the final edit of the “Come As You Are” video, Nirvana once again enlisted Kerslake to direct their third video, “Lithium.” Released in July 1992, the single peaked at No. 64 on the Billboard Hot 100 and No. 11 on the UK Singles Chart. The video, a montage of concert footage, was not what Cobain had intended. Originally hoping to produce an animated storyline for the video, Kerslake and Cobain were disappointed to discover that production of the animation would take some four months. When this idea was scrapped, they instead went with the collage concept. For a trio of musicians who did not actively want to place themselves under a literal spotlight, the pieced-together concert footage was a wonderful escape from the pressures of video. The single – the cover of which contained a sonogram of the Cobain’s yet-unborn daughter Frances Bean Cobain – charted at No. 64 on the Billboard Hot 100 single chart, and peaked at No. 16 and 25 on the Billboard Mainstream Rock and Modern Rock airplay charts. “In Bloom” was released as the fourth and final single/video for Nevermind on November 30, 1992. (Of course, die-hard fans will already know that this is the second video for the song, while the original 1990 video only ever appeared on the Sub Pop Video Network Program VHS compilation.) The video parodied musical performances of 1960s variety shows and contained clips of the band performing initially in suits, as perfect gentlemen, and evolved to the band in dresses, falling down, and ultimately ruining their set. Another video that was intended to be something else, Kerslake and Cobain collaborated to create the video that we all know and, well, some of us love. The single was only released commercially in the UK and peaked at No. 28 on the British singles chart; though despite lacking a proper American commercial release, the song still managed to chart at No. 5 on the Billboard Album Rock Tracks chart. The video for “In Bloom” won Best Alternative Video at the MTV Video Music Awards in 1993. Nirvana’s first No. 1 album, the album was selling some 300,000 copies a week between 1991 and 1992. By 1993, it is safe to say that not a single music fan did not know the name Nirvana. 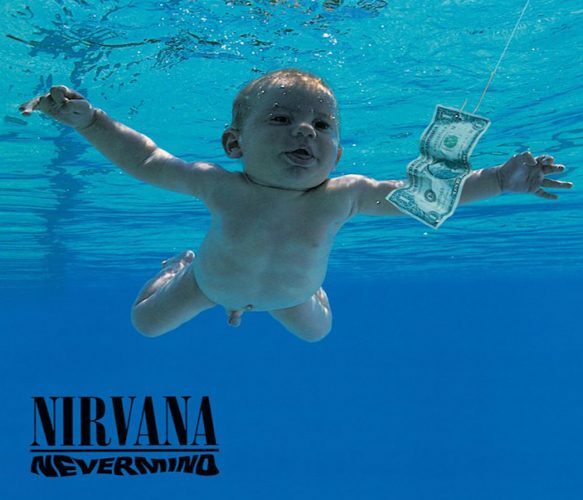 Nevermind was certified Diamond (over 10 million copies shipped) in the United States and Canada, and the album has, to date, sold over 30 million copies worldwide. Pretty impressive for a band that were never expected to see Platinum. As an album, Nevermind was the impetus for Nirvana’s success and the band seemingly opened the floodgates for other Washingtonians. Credited with bringing the Seattle Grunge music scene to the charts in the early ’90s, for some, this made Nirvana saviours; for others, they were devils leading a parade of copycats out of the suburbs. Suddenly, every band charting was from the Northwest: Pearl Jam, Alice In Chains, Soundgarden, Mother Love Bone, Temple of the Dog, Mudhoney, Screaming Trees, and Candlebox, just to name a few. While Cobain’s suicide does not directly have any bearing on the Nevermind album, it would feel a bit remiss not to mention the loss of this Generation X icon. Continuously plagued by drug addiction, health problems, and obvious psychological troubles stemming, in part, from his unwanted stardom, Cobain took his own life in April 1994. To this day, conspiracy theories abound, but the simple fact is that a husband, father, and modern-day music legend is gone. Without Cobain, Nirvana ceased to exist and music lost a truly great band. Their post-humous successes, however, did -and do- continue. In 2011, in honor of the album’s 20th anniversary, Universal Music released a 2-CD Deluxe Edition and a 4-CD/1-DVD Super Deluxe Edition of Nevermind. Ultimately, it is absolutely no surprise that Nirvana were amongst the 2014 class of inductees into the Rock and Roll Hall of Fame. 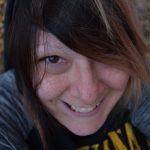 The beauty of Nirvana is the tragedy of Nirvana: what made their music relatable was the sincerity of Cobain’s sarcasm, anger, self-loathing, and emotional pain. Nevermind was an album that was never meant to grab attention, let alone to become the anthem for a generation of apathetic, self-loathing narcissists who wanted something more from their music and their lives. An album that said so much in such a minimalist format, Nevermind was a ground-breaking offering that dredged open new avenues for the disenfranchised. It might be twenty-five years after the fact, but Nevermind still stands the test of time as a truly great Rock-n-Roll album.